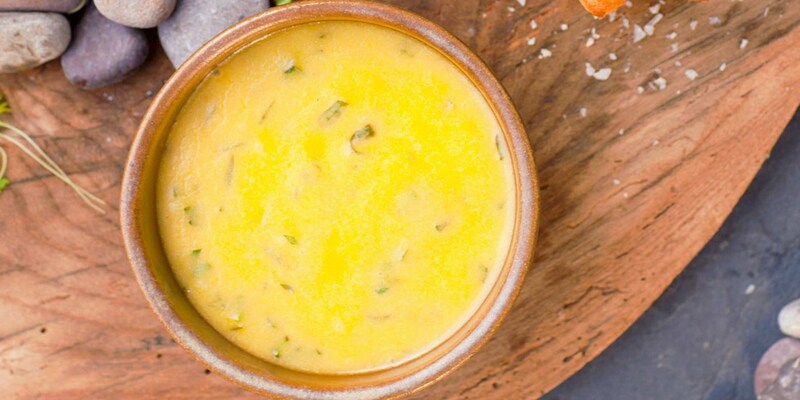 Béarnaise is a classic sauce made using the same technique as Hollandaise but with the addition of tarragon. The name derives from the town Béarn in southwest France. Traditionally served with steak and chips, this iconic sauce can be tricky to make but is well worth the effort. Be careful not to overheat when whisking as this will cause the sauce to split. If the sauce appears to be on the verge of splitting, as indicated by a slight greasy appearance, take it off the heat and whisk in a dash of cold water. Béarnaise is a great accompaniment to Shaun Rankin's Lobster and triple-cooked chips as well as a more traditional steak.